TAP Portugal began selling flights to the three new destinations that will start operating in April 2019, Tel Aviv, Dublin and Basel. According to TAP CEO, Antonoaldo Neves, these new routes are “another step in the path of strong strategic growth that the Company has been going through in recent years and will continue to develop”. The flights between Lisbon and Tel Aviv, in Israel, carried out in Airbus A321 Long Range equipment, with a capacity for 168 passengers, will be daily, departing from the Portuguese capital at 02:20 pm and arriving in Israel at 09:30 pm. From Tel Aviv, depart at 5:05 am, arriving in Lisbon at 9:00 am. For Dublin, TAP will offer two flights a day, departing from Lisbon at 7:05 am and 02:00 pm, and arriving at the capital of the Republic of Ireland at 9:50 am and 04:45 pm, from where they depart at 10:35 am and 05:30 pm, arriving at Humberto Delgado Airport, in Lisbon, at 01:15 pm and 08:10 pm. The route will be operated with Airbus A319 and A320 aircraft with capacity for 144 or 168 passengers. Between Lisbon and Basel/Mulhouse/Freiburg will also be operated two daily flights in Airbus A319 and A320 equipment. Departures from Lisbon at 6:40 am and 03:50 pm, arriving in Basel at 10:20 am and 07:30 pm. On the return, departures from Basel at 11:05 am and 08:15 pm, which land in Lisbon at 01:00 pm and 10:10 pm. Basel Airport is placed next to a tripartite border, serving simultaneously, beyond the Swiss city of Basel, the cities of Mulhouse (France) and Freiburg (Germany). Above Copyright Photo: TAP Portugal – Air Portugal Airbus A321-251N WL CS-TJI (msn 8270) ZRH (Rolf Wallner). Image: 942725. 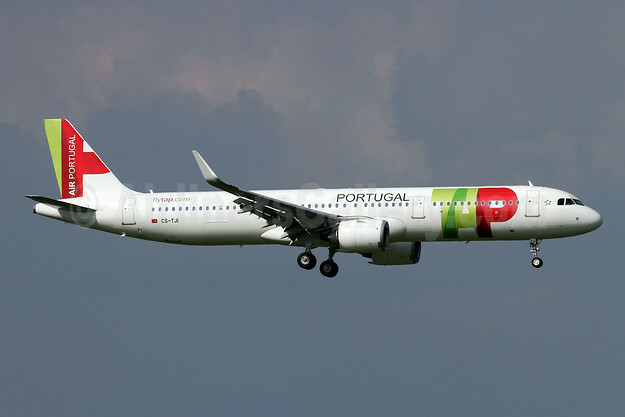 In other news, TAP has named its new Airbus A321neo aircraft, the first A321neo of its fleet, Júlio Pomar, in homage to the Portuguese painter and sculptor. The A321neo Júlio Pomar is the third of 37 aircraft to be delivered to TAP by the end of next year. TAP is going to get 71 new aircraft in all by 2025 to fully renew its fleet with more modern and comfortable aircraft that are technologically advanced and around 15% more efficient in terms of fuel consumption and the reduction of CO2 emissions. Júlio Pomar (1926-2018) left a multifaceted collection of work, including paintings, sculptures, drawings, engravings and ceramics. It is a real honor to have Júlio Pomar flying with us. Just like the current fleet, all new aircraft are going to be named after prominent Portuguese personalities from different areas of activity. Gonçalo Velho Cabral first explored the Azores 600 years ago. TAP’s second A321neo inherited his name and adventurous spirit. 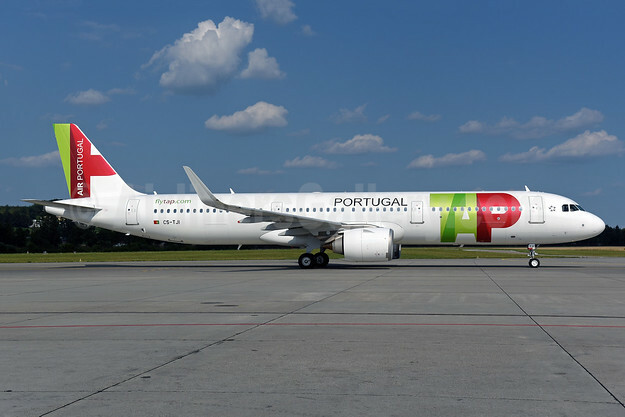 This entry was posted in TAP Portugal and tagged Airbus A321-251N WL, CS-TJI, msn 8270, TAP Portugal, TAP Portugal - Air Portugal on September 14, 2018 by Bruce Drum.